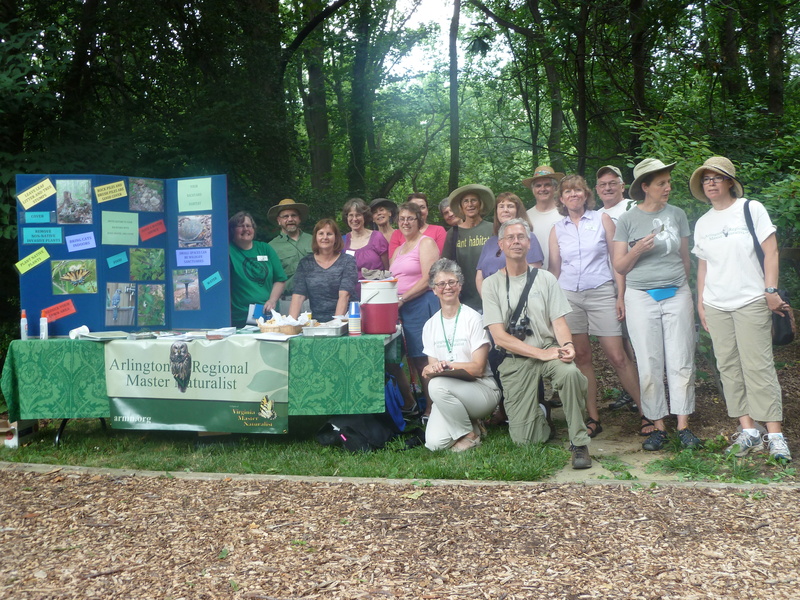 Several endeavors by Arlington Regional Master Naturalist (ARMN) on education of invasive plant species and alternatives converge at Potomac Overlook Regional Park (PORP). One is the ARMN Audubon at Home (AAH) focus summer project which had its kick off meeting on June 24 at ARMN’s native plant garden after “Meet Me On A Sunday” at PORP. The program included AAH ambassadors and potential future ambassadors with a schedule of site visits to ARMN member yards. 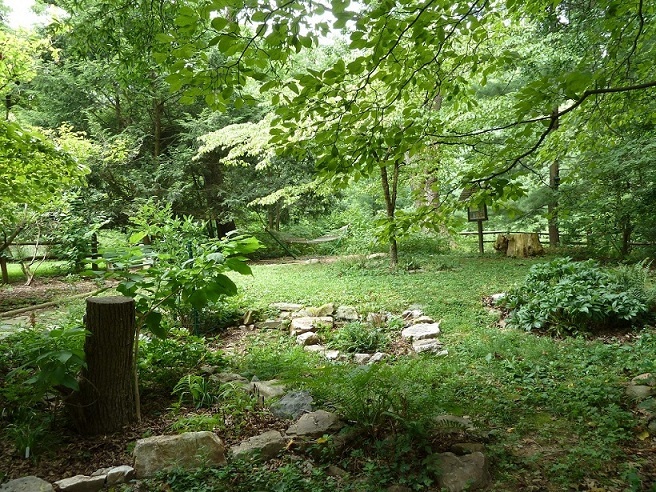 ways to create habitat-friendly yards using native plants. 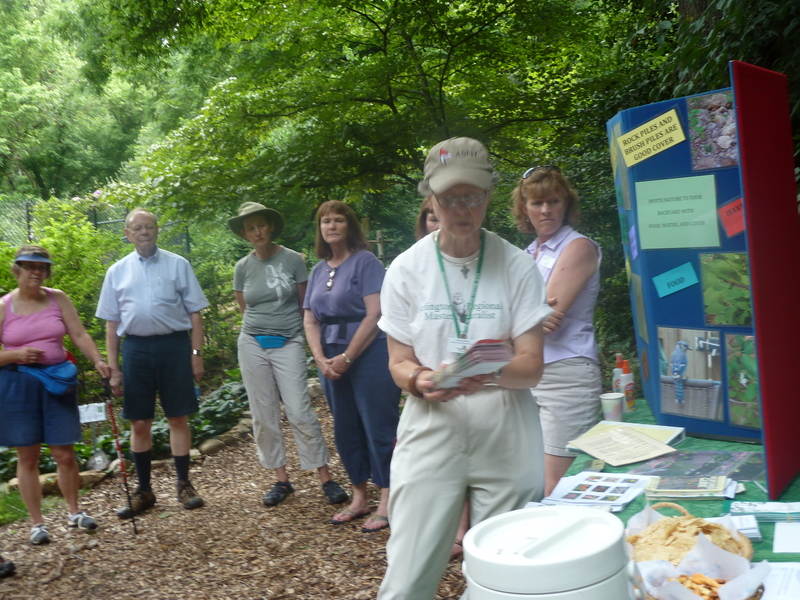 Garden creators Joanne Hutton and Kathy Landis gave an overview of the AAH focus project and a tour of the shade garden to show ways to enhance habitat. Good table top display and training references for the program. For those who have taken the AAH training and want practice and those interested in learning more about the program, there is a scheduled series of site visits on ARMN member’s properties throughout the summer as “on the job training” – this is required for potential future ambassadors. This will be a good opportunity for folks to get more experience and learn from those who are at various stages in the process to transform their own yards into wildlife friendly habitats. The tentative schedule of garden visits during the summer includes gardens from Arlington and McLean but more are welcome. If you are interested in hosting a group to visit and assess ways to increase your property’s potential, please contact Sherrie Burson, sherrieb59@gmail.com, with dates and times you are available and your location. 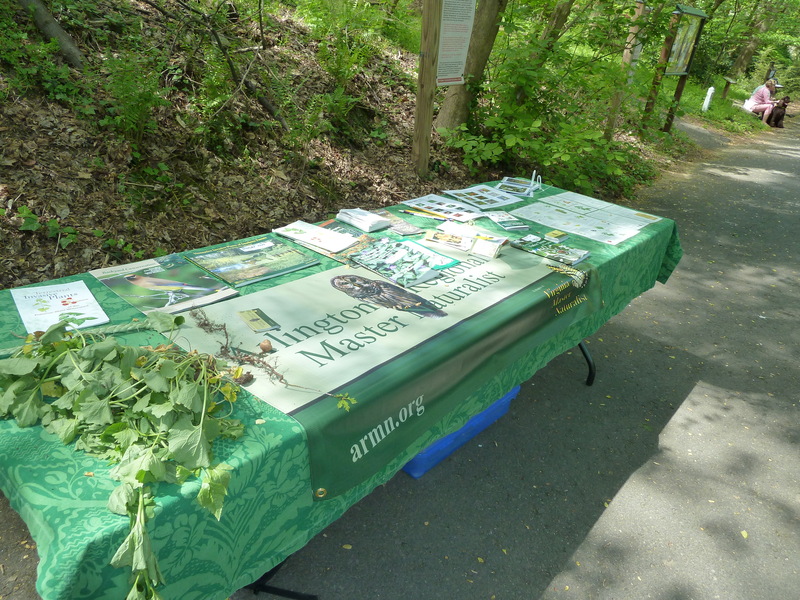 A second endeavor on invasive plant education includes ARMN’s partnership with PORP for a great outreach volunteer opportunity “Meet Me on a Sunday” 1:30 – 3:30 pm. 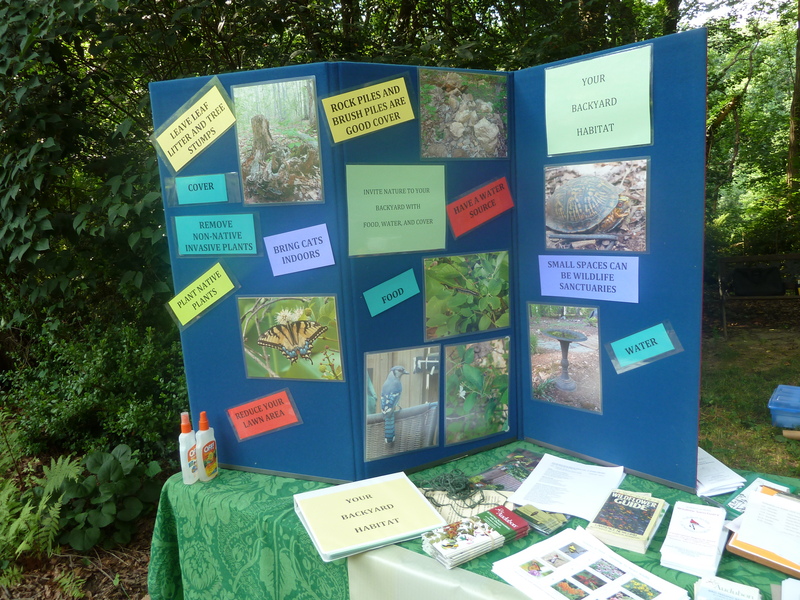 ARMN volunteers set up a table with information on invasive plant species for visitors. We have good references and include an example of an invasive species such as garlic mustard. Meet me on A Sunday sign at PORP. ARMN table on invasive plants. Native Plant Garden at PORP. As part of the design, several interpretive resources were included to educate visitors. This includes a box with two brochures about the garden for visitors located at the garden entrance. They highlight native species of interest in spring/early summer and in summer/fall. 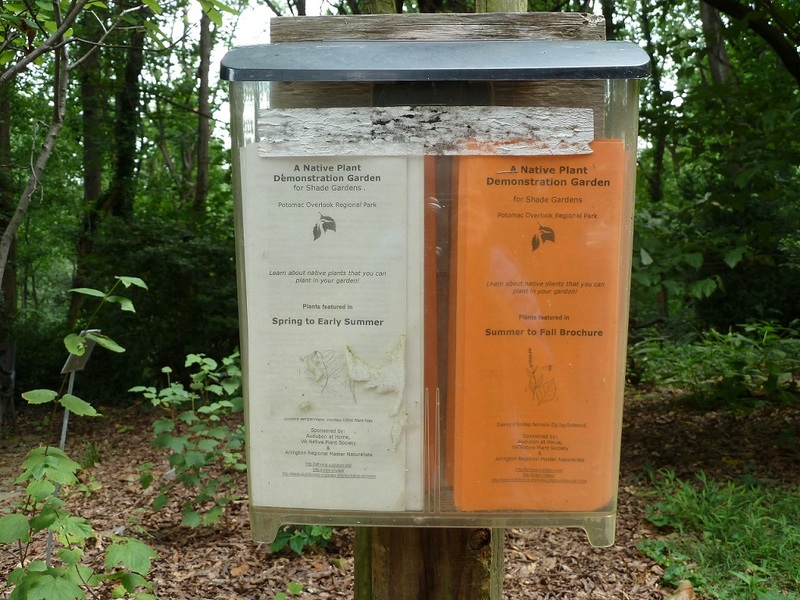 Also there are placard signs in the garden that summarize the native plant of interest corresponding to the brochures. 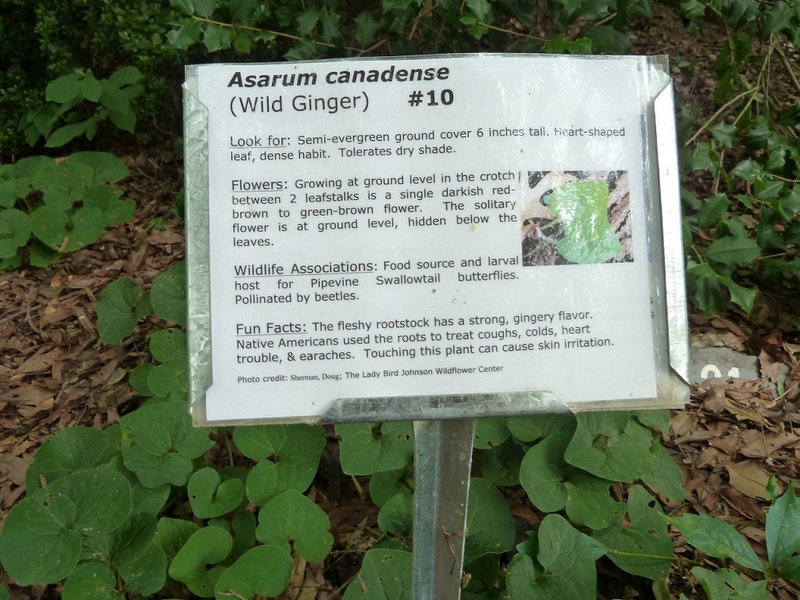 Native plant placard sign, Wild Ginger. Among support activities of the garden, ARMN volunteers lead tours for the public. And after a hot day of tending the garden and showing it off, you can relax in the hammock in the garden. 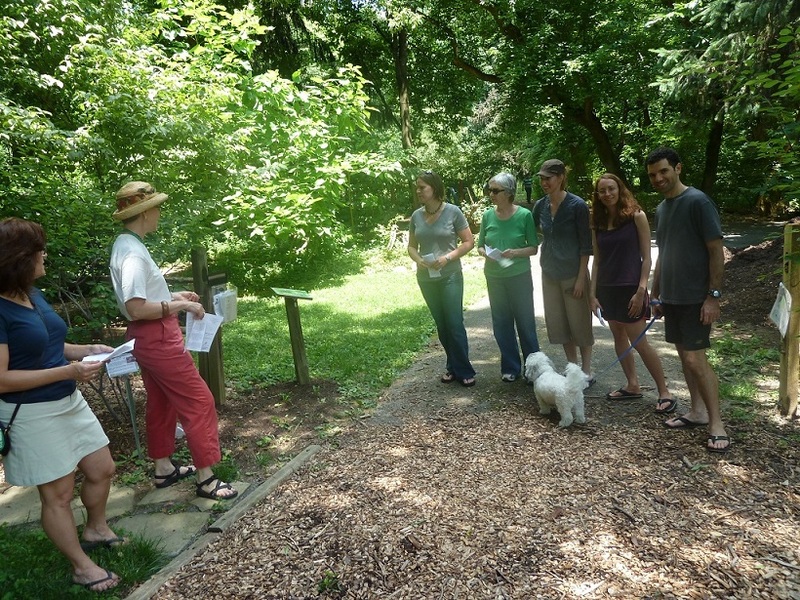 Joanne Hutton leads tour of Native Plant Garden. 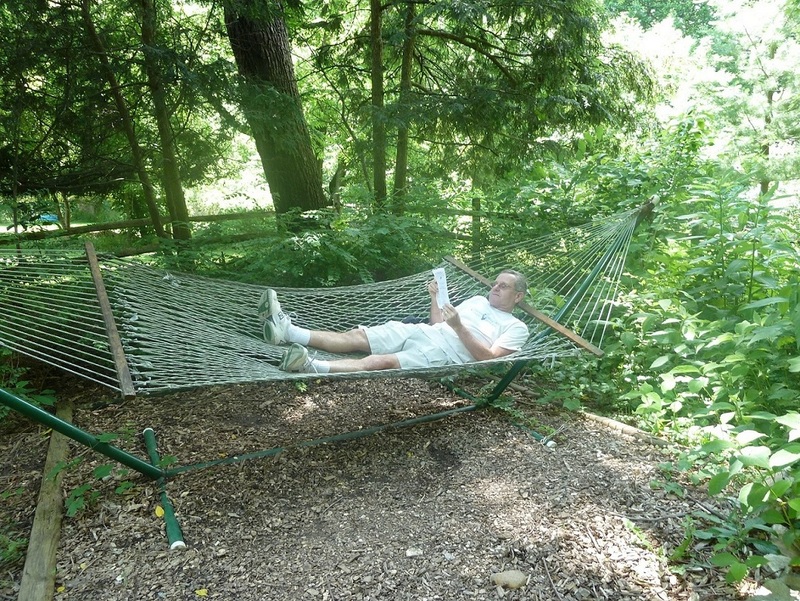 ARMN volunteer relaxes in hammock after garden work. 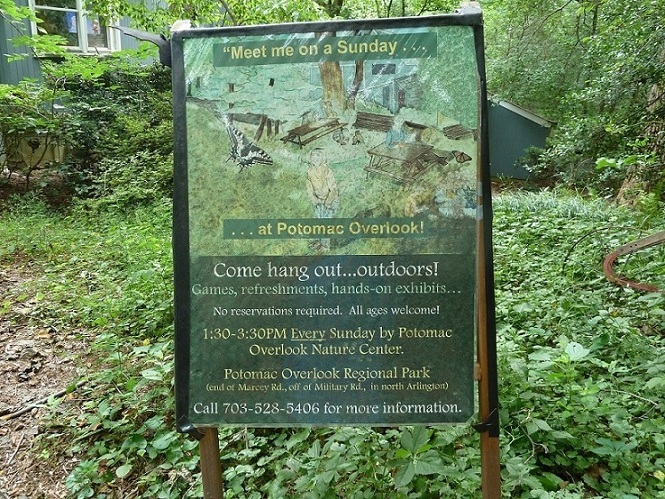 This entry was posted in Audubon At Home, Potomac Overlook Park and tagged advanced training, community outreach, invasives, native plants, stewardship by armneditor. Bookmark the permalink. Thanks, John, for this wonderful overview of so much GOOD WORK by the hard-working ARMN corps! Also, kudos to Susan Berry, the creator of the excellent new display board; it tells the message so effectively in a simple and direct way. Nice!